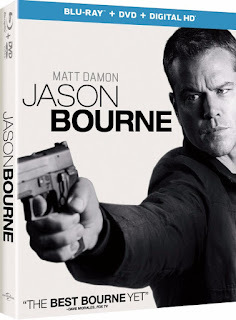 “Matt Damon returns to his best role ever,” touts Max Evry (COMINGSOON.COM) in JASON BOURNE. Paul Greengrass, the director of The Bourne Supremacy and The Bourne Ultimatum returns for the next chapter of Universal Pictures’ Bourne franchise, which finds the CIA’s most lethal operative drawn out of the shadows. Damon is joined by Academy Award winner® Alicia Vikander (Ex Machina, The Danish Girl), Vincent Cassel (Black Swan, Irreversible) and Academy Award winner® Tommy Lee Jones (Captain America: The First Avenger, No Country for Old Men), while Julia Stiles (The Bourne Supremacy, The Bourne Ultimatum) reprises her role in the series. Bringing Back Bourne - Matt Damon and Director Paul Greengrass discuss how they brought a beloved character back to the big screen. Bourne to Fight - A behind-the-scenes look at the fight sequences in Jason Bourne. Bare-Knuckle Boxing - Matt Damon discusses his love for boxing and how he prepared for the bare-knuckle fight sequences. Close Quarters - A behind-the-scenes look at the brutal fight between Jason Bourne and Christian Dassault. Underground Rumble - Matt Damon, Vincent Cassel, and fight coordinator Roger Yuan discuss how they staged Bourne’s final showdown with The Asset. The Athens Escape - Matt Damon, stunt coordinator Gary Powell and second unit director Simon Crane discuss the challenges of shooting a chase sequence through cramped city streets. Las Vegas Showdown - For the final act of Jason Bourne, filmmakers wanted something bigger and bolder than ever before. Here’s an inside look at how they pulled it off. Convention Chaos - Join the cast and crew on location in Las Vegas as they film the final act of Jason Bourne. Shutting Down the Strip - A behind-the-scenes look at one of the wildest car chases in Bourne history. Jason Bourne features DTS:X® and DTS Headphone:X™ immersive audio technologies that replicate and convey the fluid movement of sound to create a richer experience than previously possible by moving sound to precisely where the mixer placed it. 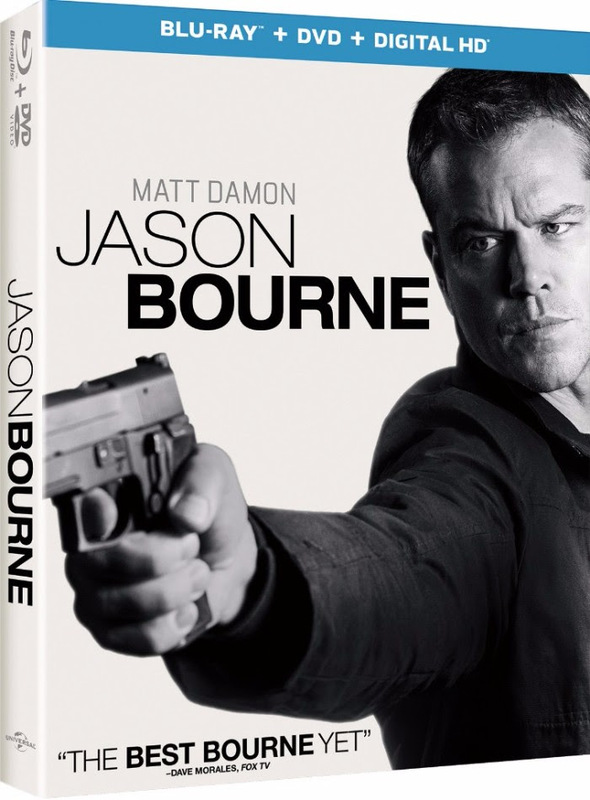 Pre- Order Jason Bourne (Blu-ray + DVD + Digital HD) on Amazon for 19.96 & FREE Shipping on orders over $49.